Harvey Pratt's plans for The National Native American Veterans Memorial, set to break ground soon. 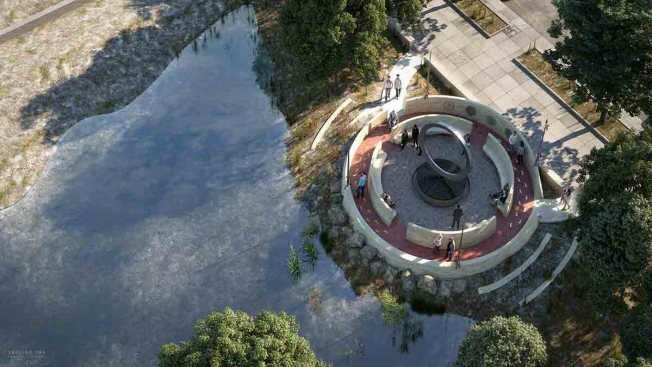 The Smithsonian’s National Museum of the American Indian has raised $7.6 million to build the National Native American Veterans Memorial on the grounds of the museum. National Native American Veterans Memorial will be the “first national landmark in Washington, D.C., to focus on the contributions of American Indians, Alaska Natives and Native Hawaiians who have served in the military,” according to the museum. The design of the memorial will be created by Harvey Pratt, who is a member of the Cheyenne and Arapaho Tribes of Oklahoma and a Marine Corps Vietnam veteran. The museum plans to raise a total of $15 million for the project. The groundbreaking for the memorial will be held on September 21, 2019, and the dedication will occur on November 11, 2020.